Samsung Electronics Co. said Friday it will start sales of its Galaxy A6 smartphone, which offers high-end features at a more affordable price, in its home market. 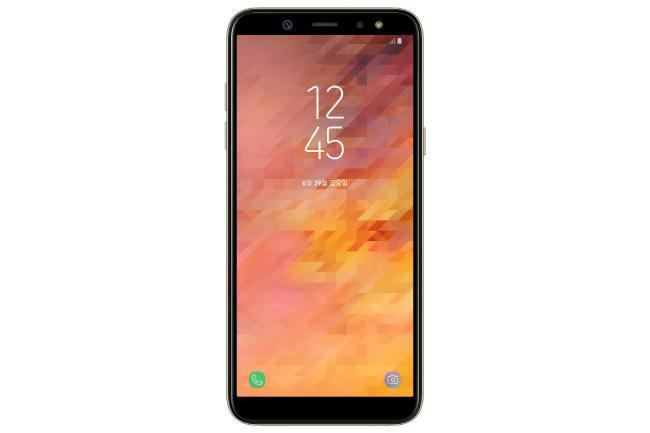 The 5.6-inch Galaxy A6 comes with Samsung's minimum bezel Infinity Display, boasting a 18.5:9 aspect ratio that allows users to enjoy the widest viewing experience, the company said. The Galaxy A6 was first launched globally in May. Among the key features of the Galaxy A6 are a 16-megapixel selfie camera and a three-level selfie flashlight for better customized photos. It also comes with a 16-megapixel rear-facing main shooter. It's battery capacity is 3,000mAh, and the phone comes with 3GB of RAM along and a storage capacity of 32GB. The device has a microSD card slot, allowing users greater storage options. Just like the flagship S series, the Galaxy A6 also supports face recognition and fingerprint scanning.